Welcome to iGEM 2016! We are looking forward to great iGEM season. We know you are eager to get started and here are some opportunities to help you begin. 3 Corporate Grants opportunities below. Deadline: applications must be submitted before May 7, 2016. We are expanding last year's program to help more high school and collegiate iGEM teams learn how the iGEM competition works and iGEM alumni refine communication, leadership, and mentoring skills. We're looking for both teams that want mentoring and mentors to send in applications to be considered for this exciting program! 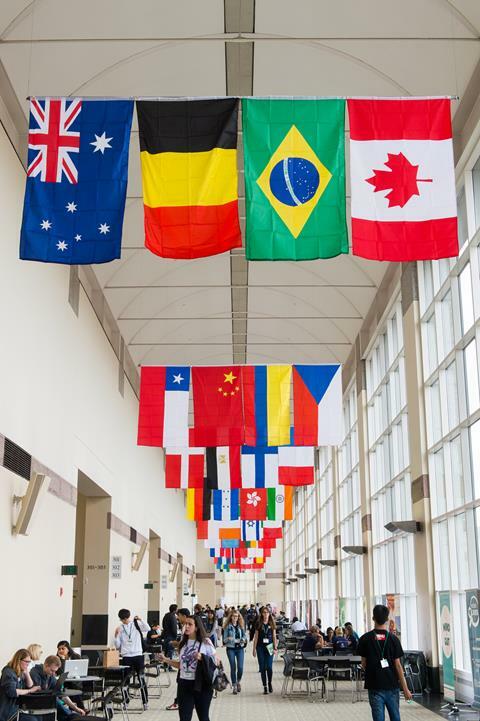 Over $100,000 USD in grants available to iGEM 2016 teams! This year iGEM is offering 3 new corporate grants to help support iGEM 2016 projects. This opportunity offers a unique collaboration with industry leaders, whom are seeking out iGEMers to help find solutions to their biggest problems. Deadline: proposals must be submitted before May 1, 2016. Is your team geared up for the 2016 iGEM competition? In 2016, GenScript is calling for research proposals that support the advancement of CRISPR/Cas9 applications in synthetic biology. Harnessing CRISPR for more accurate genome editing in organisms other than mammalian, such as yeast, bacteria, plants, etc. Proposals are due May 1, 2016 and funding will become available on June 30, 2016. Deadline: proposals must be submitted before May 13, 2016. Food security is a major challenge for the world today. The opportunity to create agricultural innovations means more people can be fed per hectare, while reducing stress on the land, animals, and environment. While technology is part of the solution society generally accepts, recent data show many still believe fewer chemicals should be used and with the widening complexity and tradeoffs facing farmers, win-win solutions are becoming more rare. Biocontrol – a method of using natural biology to reach a desired result in the field – is an effective solution to bridge both societal and grower needs, allowing farmers to be productive and environmentally conscious. As a pioneer in this area, Syngenta is developing a portfolio of RNA-based biocontrols that act through a natural RNAi process. The challenge with RNA-based biocontrols is finding the balance between scaling up the use of this highly effective agricultural tool while also being able to clearly demonstrate the value to multiple stakeholders. We are looking for iGEMers to explore technical practices that take into account the implementation of such a tool, which also involves thinking through human practices. Successful teams will receive financial support for their research, follow-through connections, and the opportunity to interact with world-class scientists, experts and innovators in our food system. Syngenta is genuinely interested in having the next generation take part in shaping the future of food and agriculture. We hope you are up to the challenge! SYNENERGENE Call for Proposals: How could your iGEM team contribute to Responsible Research and Innovation? Deadline: proposals must be submitted before May 15, 2016. We are happy to present iGEM teams with new opportunities for doing exciting work in Human Practices in collaboration with SYNENERGENE, a large European network of partner institutions aiming at Responsible Research and Innovation (RRI) in synthetic biology. SYNENERGENE intends to make major contributions to RRI in synthetic biology, on the basis of public participation and mutual learning among a wide variety of stakeholders from science, industry, civil society, education, art, and other fields. 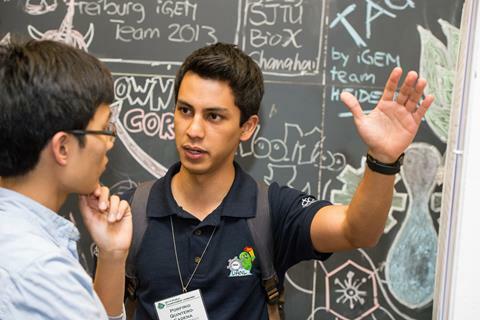 iGEM teams across the world already connect their work to important global challenges, contribute to public understanding and debate, and reflect on the societal implications of their work. In order to strengthen and develop these activities, the iGEM Foundation and SYNENERGENE are working together to support mutual learning between iGEM teams and partners from the SYNENERGENE network. Engaging in these activities will provide your team an excellent opportunity to do Human Practices work in close collaboration with partner institutions, and to enhance the overall quality of your project. Is your iGEM team looking for an exciting Human Practice challenge? Would you like to take your project to the next level by exploring challenging issues of policy and practice with experts, policymakers, and the public? And would you like to get support and funding throughout this entire process? If your answer is "yes", your team might be an excellent candidate for our Call for Proposals. The call will be published in the last week of April 2016 and proposals will have to be submitted before 15 May 2016.